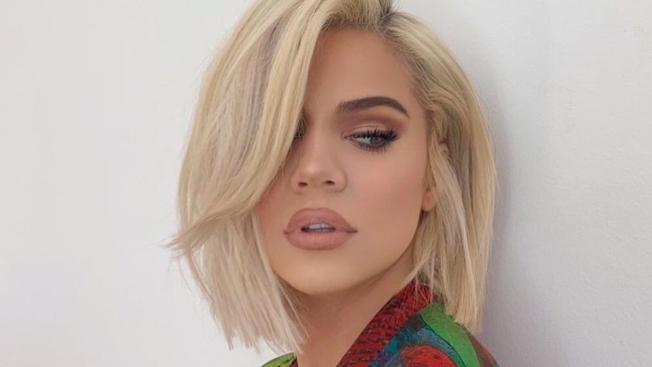 Khloe Kardashian and Tristan Thompson's love story is officially over... and she's reacting to reports that Jordyn Woods is the cause. E! News confirms the famous couple has broken up 10 months after the "Keeping Up With the Kardashians" star gave birth to their daughter True Thompson, her first child, in April 2018. We're told the pair will remain focused on co-parenting their little girl as Kardashian continues to live in Los Angeles, Calif. and Thompson travels across the country with the NBA. Hollywood Unlocked reports the pair officially called it quits after Kardashian learned of an alleged affair between Thompson and Jordyn Woods, who is Kylie Jenner's best friend. Over the Valentine's Day weekend, Thompson and the 21-year-old met up at a private party at his L.A. home, where party goers claim to have seen the two A-listers looking intimate. However, the Cleveland Cavaliers player claimed that the rumors are "fake news," in a since-deleted tweet. It seems Kardashian disagrees with his assertions though, since she and her friends commented on Hollywood Unlocked's Instagram post about the affair. Kardashian commented a series of shouting emojis, while bestie Malika Haqq wrote, "STRONG FACTS." Larsa Pippen chimed in with an "Amen!" There has been much speculation surrounding Kardashian and Thompson's relationship status, since the two have not been seen together in some time. "They will always have a bond because of their daughter, but their relationship dynamic is different now," an insider previously told E! News, referring to an alleged cheating scandal involving Thompson while Kardashian was pregnant. "Khloe doesn't trust Tristan and the relationship hasn't been repaired. It's never going to be the same." "You have no knowledge of what goes on in our household or the enormous rebuilding this takes to even coexist," Khloe tweeted in June. "I'm proud of my strength. I appreciate your opinion and I hope you hold that same opinion to everyone else who has stayed in situations."